The end of apartheid in 1994 signaled a moment of freedom and a promise of a nonracial future. With this promise came an injunction: define yourself as you truly are, as an individual, and as a community. Almost two decades later it is clear that it was less the prospect of that future than the habits and horizons of anxious life in racially defined enclaves that determined postapartheid freedom. 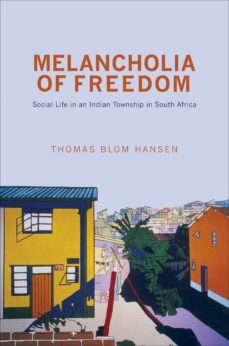 In this book, Thomas Blom Hansen offers an in-depth analysis of the uncertainties, dreams, and anxieties that have accompanied postapartheid freedoms in Chatsworth, a formerly Indian township in Durban. Exploring five decades of township life, Hansen tells the stories of ordinary Indians whose lives were racialized and framed by the township, and how these residents domesticated and inhabited this urban space and its institutions, during apartheid and after. Hansen demonstrates the complex and ambivalent nature of ordinary township life. While the ideology of apartheid was widely rejected, its practical institutions, from urban planning to houses, schools, and religious spaces, were embraced in order to remake the community. Hansen describes how the racial segmentation of South African society still informs daily life, notions of race, personhood, morality, and religious ethics. He also demonstrates the force of global religious imaginings that promise a universal and inclusive community amid uncertain lives and futures in the postapartheid nation-state.